In the wake of numerous space-adventure movies like “Passengers,” “Interstellar” and “Arrival,” director Daniel Espinosa’s “Life” presents a suspenseful sci-fi horror about how we may be better off alone in the universe. Ryan Reynolds, Jake Gyllenhall and Rebecca Ferguson star as astronauts aboard the International Space Station who have been assigned to study soil samples from Mars. As the inhabitants of the space station begin to conduct research on a Martian soil sample, they quickly realize that the red dirt holds something they could never have imagined. A single cell organism is discovered and its biological makeup is familiar, yet far more advanced than any organism on Earth. After a brief attempt to wake the organism from a deep sleep, it is finally awakened, and the news reaches Earth with excitement and embrace. The tiny being becomes loved by humanity, and it is even given a name: Calvin. Though the creature appears harmless at first, it doesn’t take long for it to turn into a merciless killer; the crew quickly discovers that Calvin is just as much brain as he is brawn. The more the creature kills, the bigger, smarter and stronger it becomes. And as it becomes smarter, Earth’s entire population becomes more at risk. The Astronauts now must not only protect themselves from this hellish beast, but they must also do everything in their power to ensure that it never reaches Earth. The various characters aboard the space station are meant to reflect the various walks of life back on Earth: Ryan Reynolds plays the wild card, Rory Adams, who is as witty as he is unpredictable. 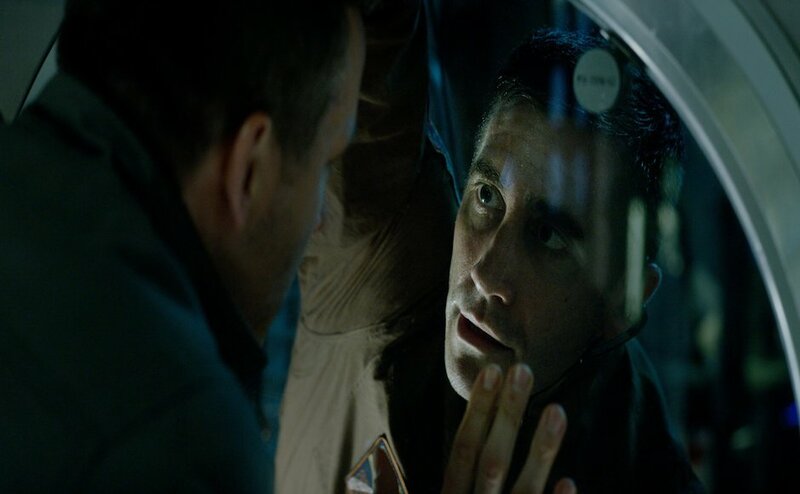 Jake Gyllenhaal plays David Jordan, a veteran-turned-scientist who must fight an internal struggle as well as a physical one while preferring to live aboard the space station instead of Earth. Rebecca Ferguson’s character, Miranda North, seemingly plays the captain of the ship and is willing to give her life in order to make sure that Calvin never reaches the Earth. Ariyon Bakaren and Hiroyuki Sanada also co-star in the film as scientists. Bakaren’s character, Hugh Derry, is a paraplegic, who feels that he has fathered Calvin in bringing him out of his slumber. Sho Murakami’s character, Sanada, is leary of Calvin the moment the soil sample comes aboard the ship. Like so many other space-horror films, suspense and creepy space images create a slightly macabre mood. Almost the entirety of the film takes place on board the labyrinth-like International Space Station. Close-quarter filming allows the director to focus on close-up shots, which seem to be key in suspense-horror films. Though most of the lighting in the film is dark, flashing movements and bright focal points give the audience the classic horror film anxiety. Impressive CGI and a direct, interesting plot line give the film a modern twist. This film also does not shy away from gore. About 20 minutes in, the audience witnesses the mangling of one astronaut and the brutal death of another. The violence in the movie reminds the audience of the famous “Alien” films with a theme closer to that of “Prometheus”. Though this film doesn’t offer anything new to the screen, its dramatic nature and suspenseful scenes create a sci-fi horror that should not let its disappointment at the box office deter any would-be viewers.